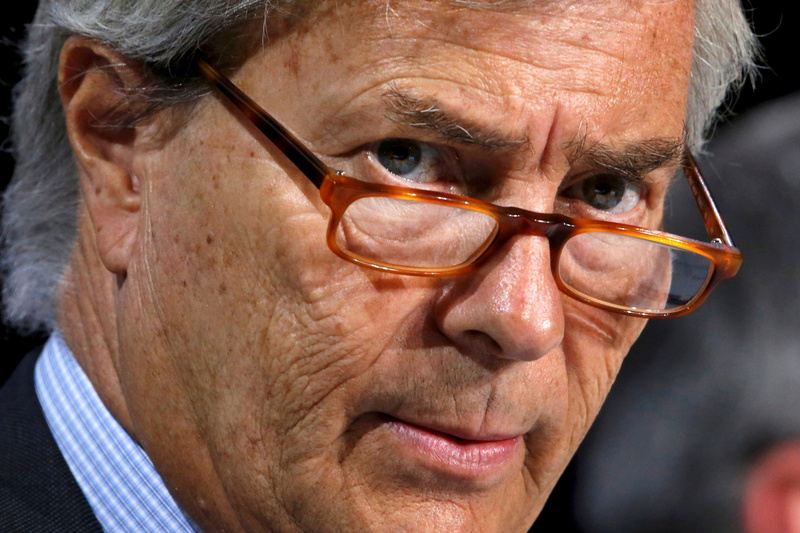 Vivendi chair Vincent Bolloré may lose a fight for control of Telecom Italia with activist investor Elliott. Selling his 24 pct stake would mean a loss, assuming he can find a buyer. Staying put while Paul Singer’s group tries to revive the Italian telco is a better option. Proxy advisers Glass Lewis, ISS and Frontis have all recommended that Telecom Italia (TIM) investors support a proposal by activist investor Elliott Advisors to replace six Vivendi-backed board members at a shareholder meeting on April 24, designed to curb the influence of top shareholder Vivendi. TIM said on April 9 it planned to take legal action to prevent the April 24 vote. A further shareholder meeting has been called on May 4 to replace the entire TIM board. Italian fund association Assogestioni said on April 9 it will not present a list of board candidates for TIM at the May 4 meeting. French media group Vivendi, controlled by financier Vincent Bolloré, is TIM’s top shareholder with 24 percent and controls the Italian telecom group’s board. Elliott owns 8.8 percent of TIM’s shares, and controls another 5 percent through options, Reuters reported on April 9, citing filings. In a strategic plan for TIM published on April 9, Elliott said it could create 7 billion euros of additional value for TIM’s shareholders by pushing through a separation of the company’s fixed-line network.